Tiny has a problem. 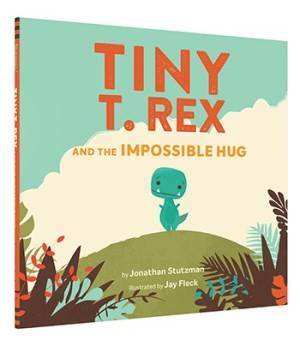 He’s a T. Rex whose arms are very small. But his big friend Pointy needs a hug. What will Tiny do? While we can’t mail you a hug, we can mail you this book. One lucky teacher will win it. (Update: Congratulations to Holly, our lucky winner!) To enter our random drawing, submit a comment to this blog to tell us one thing that seems impossible to you today. Comments are due by Wednesday, January 30, to be entered in our drawing. Good luck! In need of new resources? Lakeshore is offering 20% off any single nonsale item. 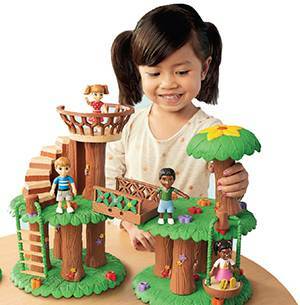 Use code 3732 at LakeshoreLearning.com. Tap into a new library of civics videos from Khan Academy. 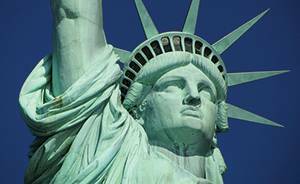 Designed for students of all ages, the free videos cover the importance of studying history and government, how things have changed from the days of the founding fathers, and little known anecdotes from history. Click here. 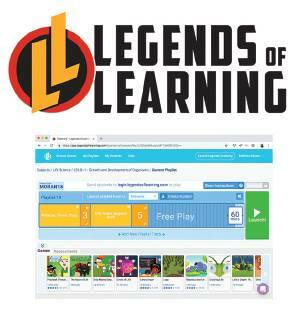 Legends of Learning has added hundreds of new science games for elementary and middle school classes. Check out these free resources, which are designed to support NGSS, at legendsoflearning.com. The thing that feels impossible to me today is getting to the dentist on time. My appointment is hours away and already I just know I’m going to be late. Ugh! PS: Have you visited us on Instagram lately? Click here. One thing that seems impossible to me today is, having enough time in a day to complete what I need to do. Seems impossible that the weather will ever be nice and warm again! It seems impossible to get everything done in a day! It seems impossible to get through my “To Do” list. To keep my voice all year!! Today it seems impossible that I will stay warm! Our classroom is chilly, but warmer than it is outside!! It seems impossible to get it all done! It seems impossible to me today that we will ever get to spring break. It seems impossible to face my father’s cancer today. It seems impossible to get everything done. Staying warm with the cold weather and the two storms on the way! Today it seems impossible to stay on task, very distracted today! Staying inside the classroom all day with wiggly kindergarten students for the third straight day! HELP!! My impossible thing of the day is getting everything accomplished that needs to be done. It is impossible to try to do things without the help of Christ in my life! With GOD: All Things Are Possible. If you’re in Christ nothing is impossible. it grows as the day goes on….. It seems impossible that I will ever get enough sleep! The flu is running rampant through my building, as such, today, it feels impossible to make it through this flu season withnout getting sick – though I’ll try my best! It seems impossible to get everything done needed to be done, while making everyone happy and doing enough for my students and have any energy at the end of the day, week, month or year. It seems impossible to get Reading assessments done this week with multiple kids out with the flu and now SNOW on a Friday! It seems impossible to get enough sleep with all that there is to do! It seems impossible to finish my degree and do my job with excellence at the same time. It seems impossible that I will get through my TBR book pile, but I will persevere! It seems impossible this comment will win but I want to give it a chance anyways! To get the end of the semester stuff and the budget items done before the end of the day. New school system, new state, new experiences, new challenges, SAME goal of educating children and creating responsible citizens! Seems impossible that I will ever get caught up! At home or in the library. Today seemed impossible that I could make a break through with this one special child that has a difficult time with comprehension and following directions. It’s seems to be impossible to have a day without headache pain. It seems impossible to get through one day of the week with a normal schedule at work. It seems impossible that I will ever be able to retire. Went to a meeting thinking I was a few years away from retirement, but guess not. I sure would like to travel while I still feel like it! I have so many things to do in my personal life and school life that it seems impossible that I will ever get it all done. There is always something in my life’s In box. It seems impossible not to smile when a four year old tells you he loves you as he leaves for the day. I have had a lot of rough days in my classroom but the love of my kiddos always makes me grin. It seems impossible to be a wonderful teacher while also keeping up with mommy duties to my six year old when my mind is so preoccupied with worries and uncertainties about my one year old with an adrenal insufficiency being sick right now. ???????? Some days seem impossible since being diagnosed with cancer. Coming to work and seeing my children everyday lifts my spirits and inspires me! I am lucky and thankful to be a teacher! Today I wanted to get my last book done for my work and it feels like I’m getting nowhere, an impossible task for today. We all could use a hug on this frigid Monday morning, BRRRRRRRR! It seems impossible to find time to accomplish the four jobs I have at home and at school. I will complete all but whew, it is hard to find time and still have enough sleep. It seems impossible to keep to my running schedule. The below zero temperatures, snow storms, now rain, seem to be against me!